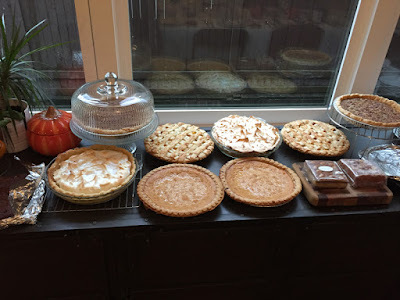 Thanksgiving Pies - Almost as good as Beading! Full to bursting - that seems to be the theme, heading out of Thanksgiving weekend. Tables loaded with food, homes filled with family and friends, tummy's full of turkey and all the fixings. And now my Etsy store; overflowing with beading goodness. More beading goodness than ever before (and possibly ever again), topping out at a grand total of fifty one separate listings. My focus is in a state of transition. 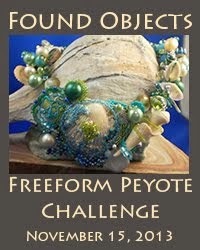 I think I know where I'm going - into larger scale, freeform beaded sculptures. There are also a couple of book projects I'm mulling over. In order to clear space (both mentally and physically) for my new work, I've decided to divest myself all of my beading kits, including several that I've made specifically for in-person workshops in the past. It's time to find new homes my beading kits. Once these are gone, I'm not planning to make more. Time for a change! 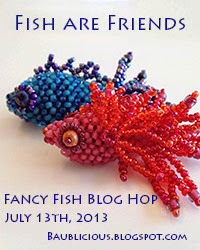 Fancy Fish: I have kits in three color schemes, and have also listed some turquoise-blue dyed magnesite and red-dyed magnesite core beads. Snowflake Chains: I just finished updating this tutorial, and am now offering it as a stand-alone pattern. I've also updated Snowflake & Stars; cleaning things up, and adding some additional inspiration/gallery photos. If you've already purchased the pattern, email me and I'll send you the update. The Snowflake Collection includes both of my Snowflake patterns at a reduced price. If you already own my Snowflakes and Stars tutorial and would like the Snowflake Chain Ornament, I'm happy to set up a special, half-price listing especially for you. You'll also find the last of my Snowflake Kits in Cobalt & Gold, and Peppermint Twist. Interested in Right Angle Weave beaded beads? 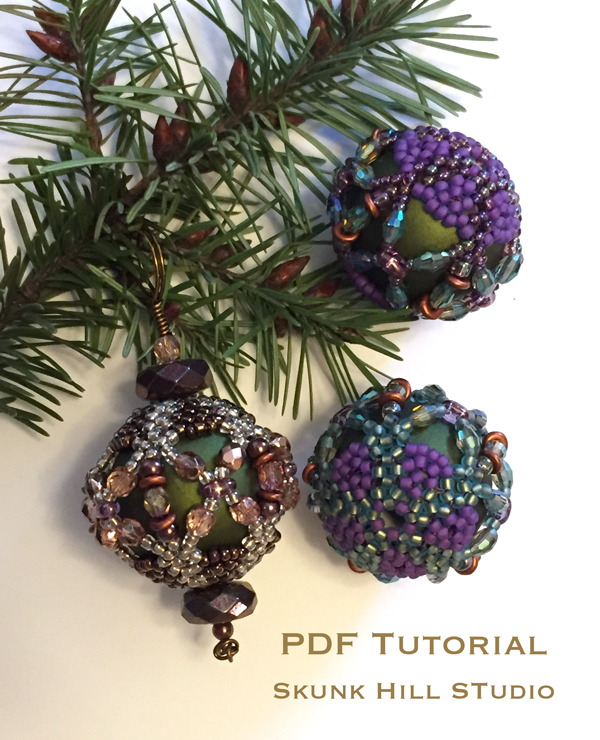 I've updated my Criss-Cross Lantern Beads tutorial, and am offering it as a digital download. Or you can pick up a free copy of my Lantern Bead tutorial with purchases of my second paperback, Corsets, Caps and Stays: Elegant Beaded Beads with Right Angle Weave. 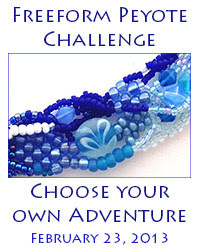 I've also listed a number of kits featuring my original Corset Beads right angle weave beaded beads. You'll find singles in several colors and a couple of sets, including my favorite Yule Tidings Collection, which has everything you need to create six holiday beaded beads, and quickly turn them into ornaments or pendants. Prefer my Personal Planets freeform peyote beaded beads? 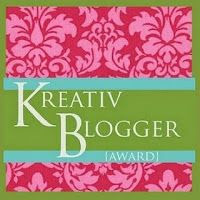 I have kits in my Quinacridone Summer and Sea Breeze colors. In my Beading Supplies section, you'll find sets of the 26mm round core beads I use for my beaded beads. And if you're interested in freeform peyote ruffles, I have a small number of brooch kits leftover from a workshop I taught a while ago (Dragon Thief and Ocean Shores). 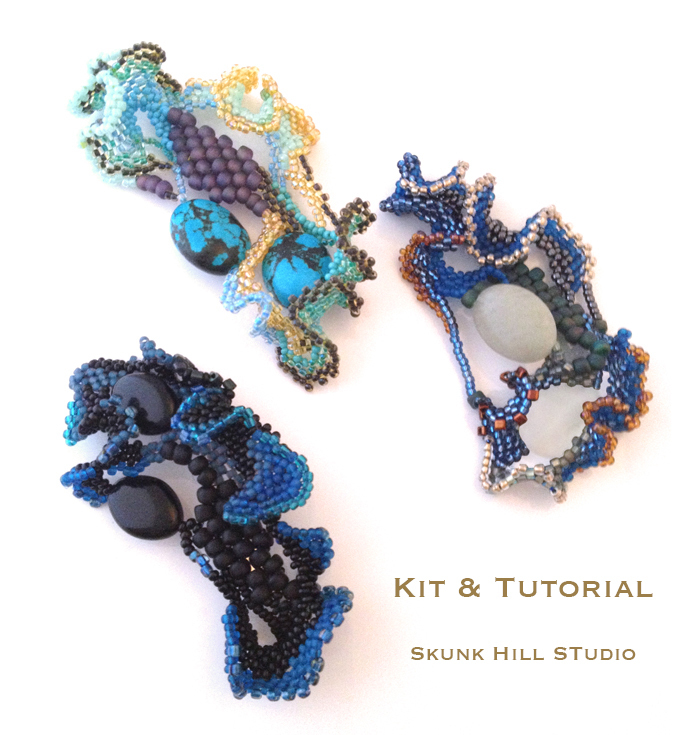 These have the exact beads I used in my Underwater Fantasy Stone Brooch series in Explorations. Once a kit sells out, there likely won't be any more (maybe an occasional onsie-twosie leftover if I prep kits for an in-person workshops). Kits will only be available on my Etsy store through Thursday, December 15th. My last shipping day will be that Friday. 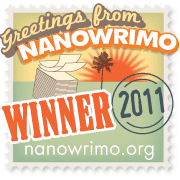 After that, I'll still have all of my ebooks and automatic downloads, just nothing that requires shipping.